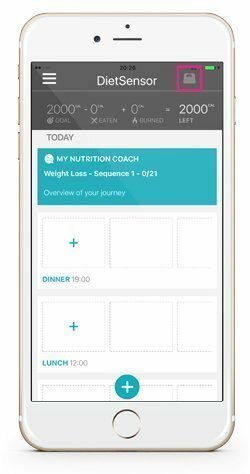 Have a look at our video tutorials available on dietSensor.com or on our YouTube channel for guidance towards the first steps of using the scale with the DietSensor App. 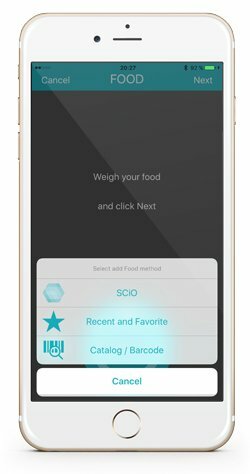 Turn your Bluetooth on and open the DietSensor App. 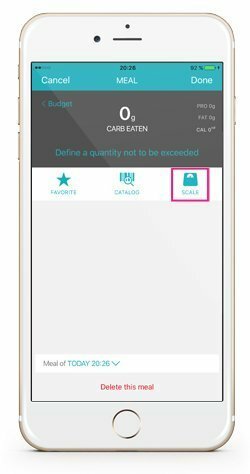 Access the Settings menu and Activate the scale weighing feature. An icon will appear on the top right corner of the main screen. 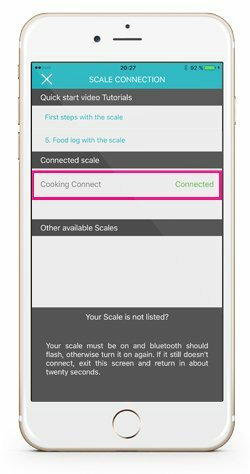 Click this icon to connect the scale (for iPhone, you don’t need to click this icon, it will turn white when the scales connects to the App). 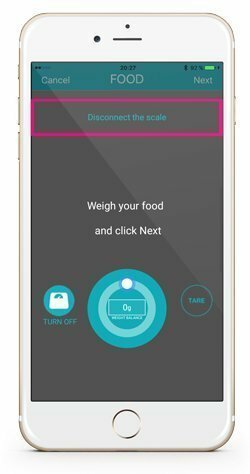 Turn your scale ON NOW and wait a couple seconds (depending on you phone, it can take up to 10 seconds to connect). If it does not connect, exit this screen, turn the scale OFF and return in a couple seconds, then turn the scale ON again. Start a meal. Click the scale icon. 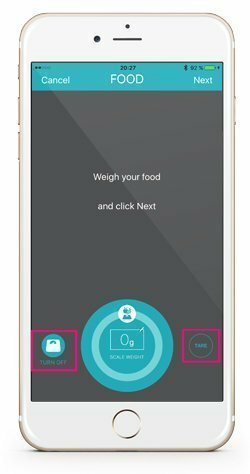 If the scale is connected when you click the scale icon, you will see this screen (the same screen appears automatically 2 seconds after you weigh something on the scale). – Use tare if it is a plate or a glass. – Turn OFF or ON the reception of the bluetooth scale signal to switch from manual to automatic weight input. To prevent the app from doing this for small weight variations you can increase the Trigger weight at the bottom of the Settings menu. 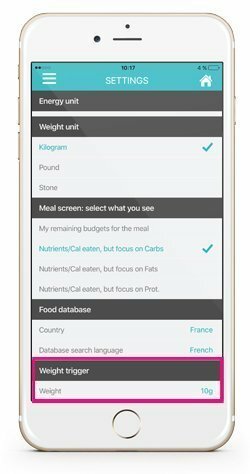 Select Next and choose your food input method, then add the food in your meal. The scale will never turn OFF (and its buttons will be disabled) as long as it is connected to the app. 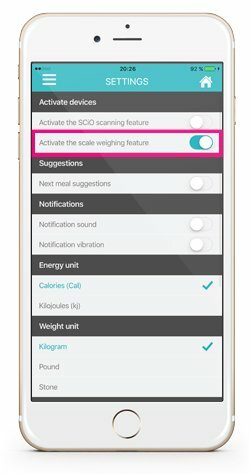 To turn it OFF with the power button of the scale, you need to close the app and wait 3 seconds if you use an iPhone or to select the button « Disconnect the scale » if you use an Android phone.